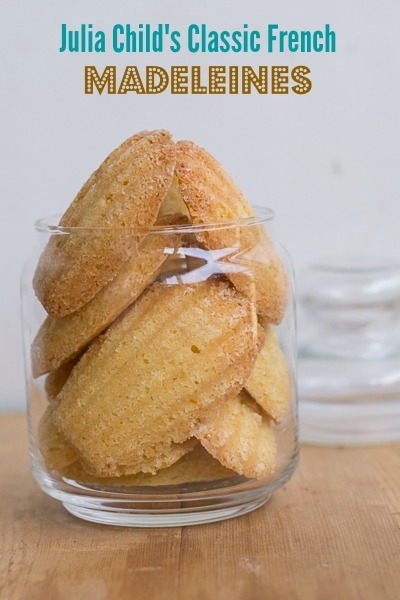 Recipe for Julia Child’s Classic French Madeleines de Commercy from her book way to cook. Recipe for Madeleine cookie / cake. 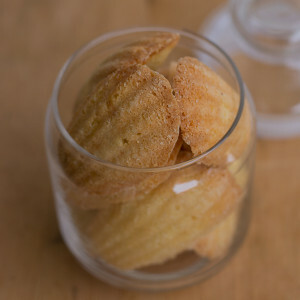 I saw these Madeleines beauties one night on TV for the first time in Julia Child’s French Chef episode. I was hooked right away. I was new to french food then. I wanted to try Madeleines. Like really badly. I went shopping the very next day. I went and bought the pans from Williams-Sonoma and made Madeleines right after reaching home. I was excited to see those little scalloped shell shaped beauties bake to perfection. It was a buttery, dense, delicious, beautiful little cake. Maybe a cookie. Maybe a cake. Whatever you want to call it, it turned out to be a wonderful treat. 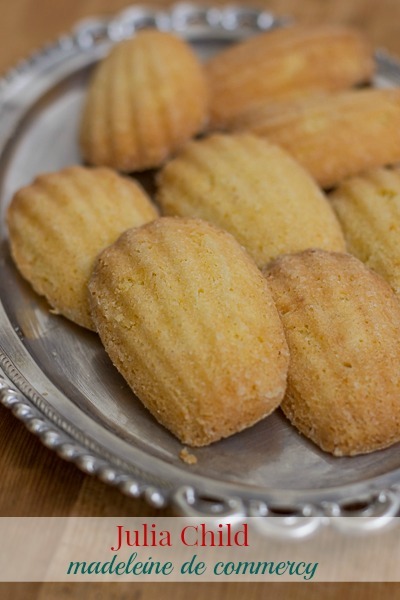 Julia Child spoke about how Madeleines became so popular after Marcel Proust wrote about it in his monumental work “Remembrance of Things Past”. I make these Madeleines very often. Here is Julia Child’s Classic French Madeleines de Commercy adapted from her book, “The way to cook”. Slightly beat the eggs in a bowl. Measure 1/4 cup of eggs into a bowl. Then beat in the sugar and the cup of flour. 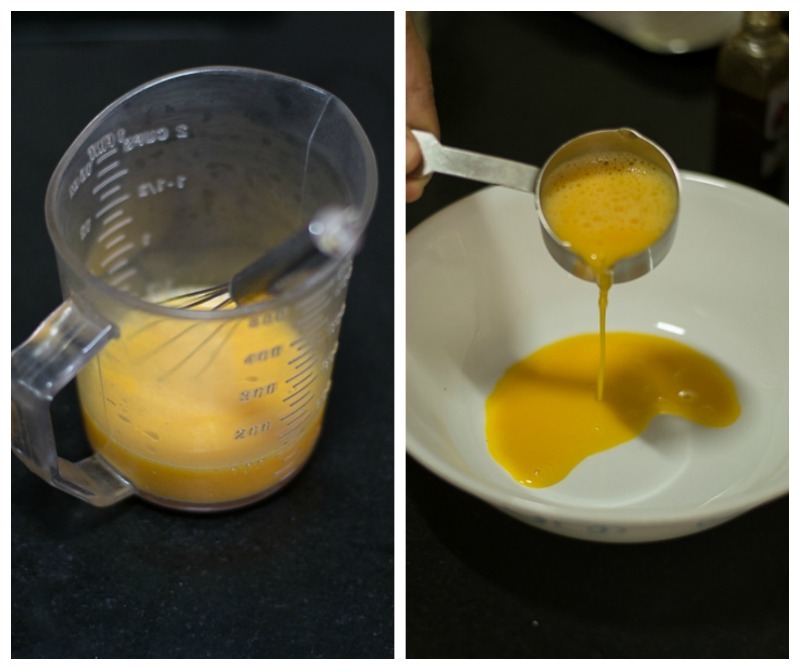 Add little more egg ( a tablespoon at a time), if the batter is too dry. 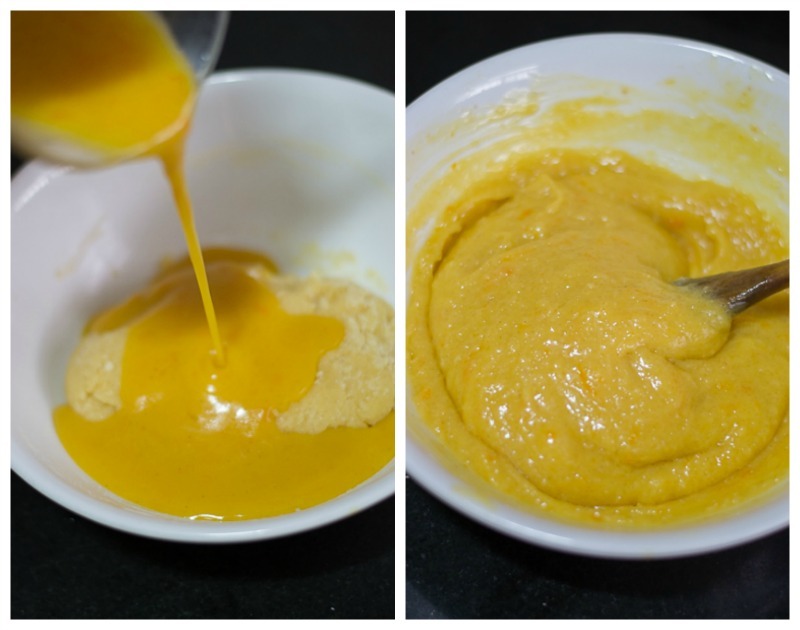 When thoroughly blended, set aside and let it rest for 10 minutes. Meanwhile, melt the butter in a sauce pan, bring it to the boil, and let it brown lightly. Set aside. Place the 1 tablespoon of flour in a small bowl and blend in 1 1/2 tablespoons of the browned butter. 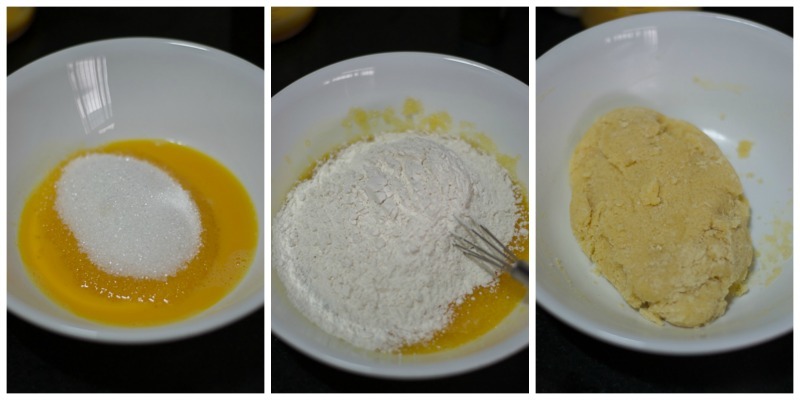 Paint the Madeleine cups with the butter-flour mixture. Set aside. 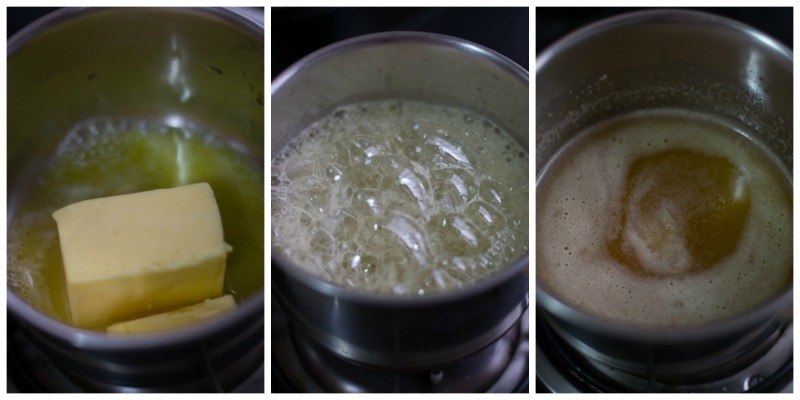 Stir the rest of the butter over ice until cool but liquid. 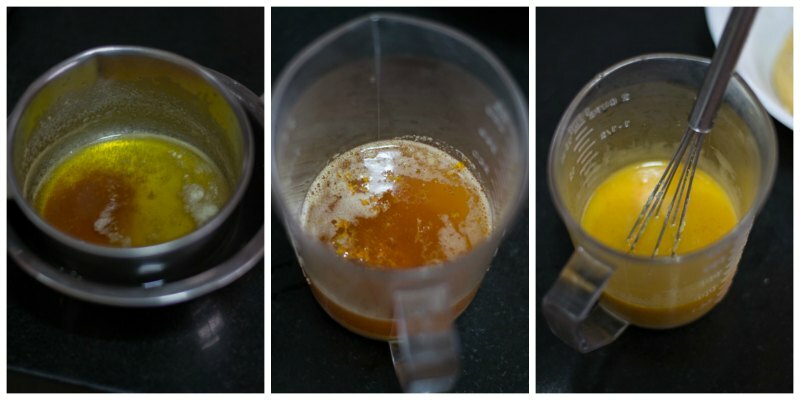 Mix the butter with the last of the eggs along with salt, lemon rind and juice and vanilla. Add this mixture to the resting batter and stir well. Allow the batter to rest for 10 more minutes. If you want a big hump in the middle which is so characteristic about Madeleines, allow the batter to rest for one hour at room temperature or couple of hours in the refrigerator. Preheat the oven to 375 F, and set the racks in upper and lower middle levels. Divide the batter into 24 lumps of a generous tablespoon each, and drop them into the Madeleine cups. Bake in the preheated oven until the cakes are slightly browned around the edges, humped in the middle, and slightly shrunk from the cups. Un-mold onto a rack. When cool, turn shell side up and dust with confectioners sugar for serving. (dusting is optional). They will keep in the refrigerator for a day or two in an airtight container. 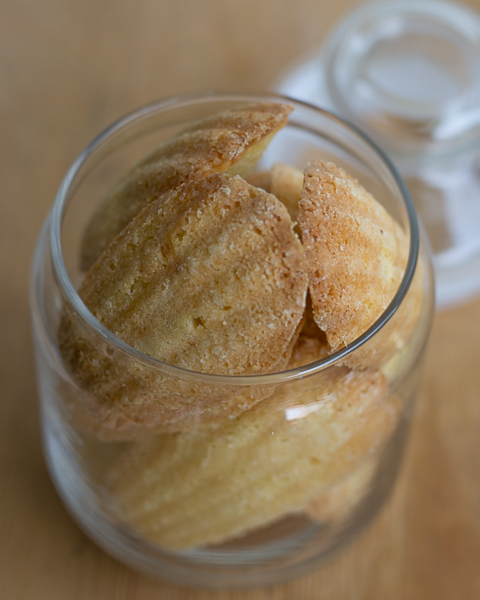 Recipe for Julia Child's Classic French Madeleines de Commercy from her book way to cook. 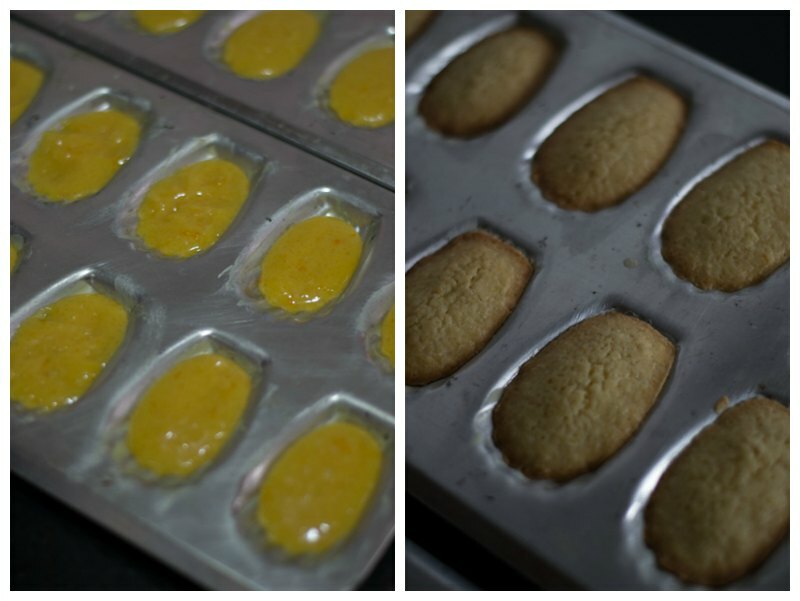 Recipe for Madeleine cookie / cake. Slightly beat the eggs in a bowl. 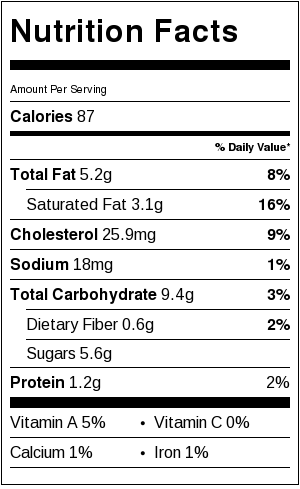 Measure ¼ cup of eggs into a bowl. Place the 1 tablespoon of flour in a small bowl and blend in 1½ tablespoons of the browned butter. 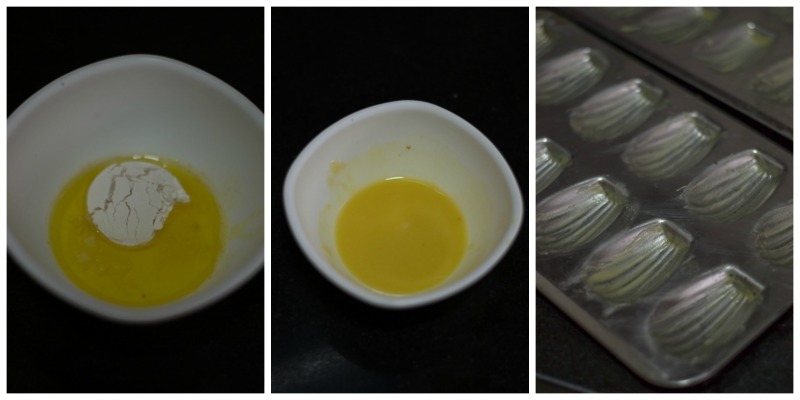 Paint the Madeleine cups with the butter-flour mixture. Set aside. One can substitute orange zest for lemon. It tastes good too. The batter can be refrigerated over nite and baked the next day. Slightly bring it to room temperature and proceed with the baking. What typebof flour it used . I can’t see the name of flour. Its given in the recipe section.